Susan wakes up alone in a room she doesn’t recognize, with no memory of how she got there. She only knows that she is trapped, and her daughter is missing. Devising a plan to keep her daughter safe, Susan begins to get closer to her unknown captor. And suddenly, she realizes that she has met him before. I've got this book via NetGalley in exchange of an honest review. I was curious with this and so I decided to read and find out what this is all about. The truth is on the first half of the book, I was so close to stop reading it. I was in the edge of giving it up for the reason that I feel like the story is slow. I'm waiting for the excitement and any clues as to what really happened. Who's the guy? Where's Cara? Why was she locked in a room? Why are they imprisoned? Will they get a chance to get out? How? Those questions keeps popping in my head without any answers. But I guess, I'm glad I didn't stop reading. I'm glad I finished it because the answers that I've been looking for was in the other half of the book. The climax, the story twists, it all make sense after reading that specific part. This book suddenly turned interesting. It was a struggle at first but I can say that it is worth my time. It may took me a while to finish it but I'm glad I did. Should I do my summary? I feel like I will destroy the fun! But here it is anyways.. Sorry! I will not tell you who he is! It's for you to find out because when I was reading this book I was like playing a guessing game. I enjoyed it so far.. and what could I say about the book? Here..
A.L. Bird (Amy) lives in North London with her young family. She divides her time between writing and working as a lawyer. 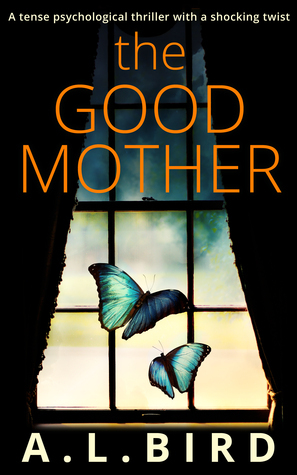 'The Good Mother', released in April 2016, is her major psychological thriller for Carina UK (HarperCollins), the fourth novel she’s written for the imprint. Her debut 'Yours is Mine' reached the coveted No. 1 spot in the Amazon Women’s Crime chart. 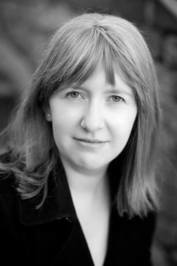 She has an MA in Creative Writing from Birkbeck, University of London, and is also an alumna of the Faber Academy ‘Writing a Novel’ course, which she studied under Richard Skinner. Amy is a member of the Crime Writers’ Association.